I.S. MacLaren teaches Canadian history and Canadian literature at the University of Alberta, specializing in the literature and art of exploration and travel, arctic history, the history of Rocky Mountain national parks, and the history of the book in Canada. His abiding research interest in Paul Kane and the fur trade of the 1840s has extended over several decades. His books include The Ladies, the Gwich’in, and the Rat: Travels on the Athabasca, Mackenzie, Rat, Porcupine, and Yukon Rivers in 1926 (with Lisa LaFramboise, 1998) and Mapper of Mountains: M.P. Bridlgand in the Canadian Rockies, 1902-1930 (with Eric Higgs and Gabrielle Zezulka-Mailloux, 2005). Eric W. Sager is Professor of History at the University of Victoria. He was Director of the Canadian Families Project (1996-2001). A collection of essays by members of that project, entitled Household Counts, will be published in 2006. Robert A.J. 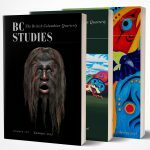 McDonald teaches British Columbian and Canadian social history in the History Department at the University of British Columbia and is the editor of BC Studies. In 1996, he published Working Vancouver: Class, Status, and Social Boundaries, 1863-1913.